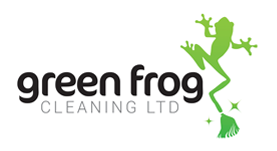 Green Frog Cleaning LTD provides all aspects of cleaning services. We have been trading for three years, gaining multiple contracts and clients across Staffordshire. Company owner Jodie Clowes takes great pride in her business, staff and customers. We offer a friendly, trustworthy and reliable service – even if it just for one hour! Our aim is to provide our customers with the cleaning services they exactly want. We provide our own cleaning products, promoting “Eco” products as we feel these are the best. We always offer a non-obligation quote and the very best recommendation to keep the costs down. All staff are fully insured even with keys. All staff wear a smart uniform. All staff are approachable, trustworthy and always with a smile. Agency – tailored for the care sector, short notice stand in staff. All staff have a full DSB check. – Retail – Small, large, you name it we will do it!